lifetime of pages: Berry71Bleu, Stuck on U Sketches and Something Tattered Canvas! Berry71Bleu, Stuck on U Sketches and Something Tattered Canvas! Hello! 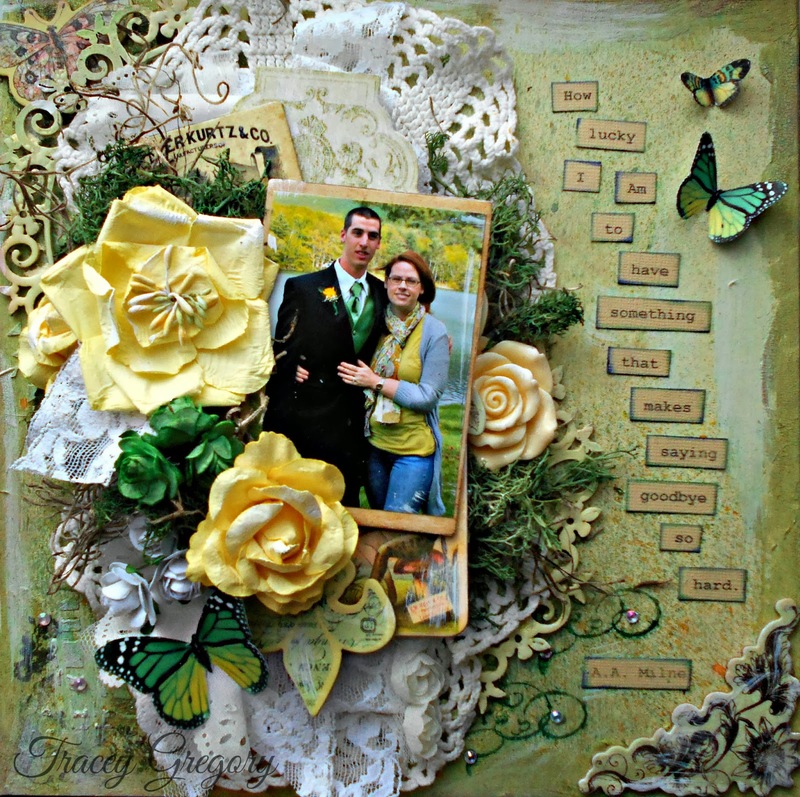 Today I want to share with you my project for Cathi's Luck O' the Irish March Challenge at Berry71Bleu using today's Stuck On U Sketch.. Being Irish myself, I love this challenge! 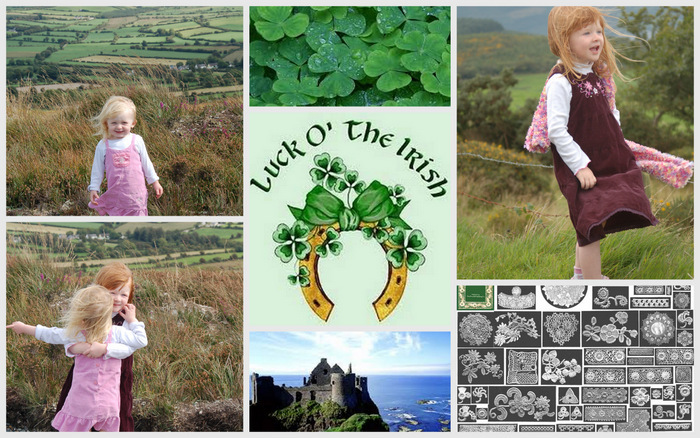 I decided to create a canvas that reflects on my fiercely Irish oldest son, Hayden. 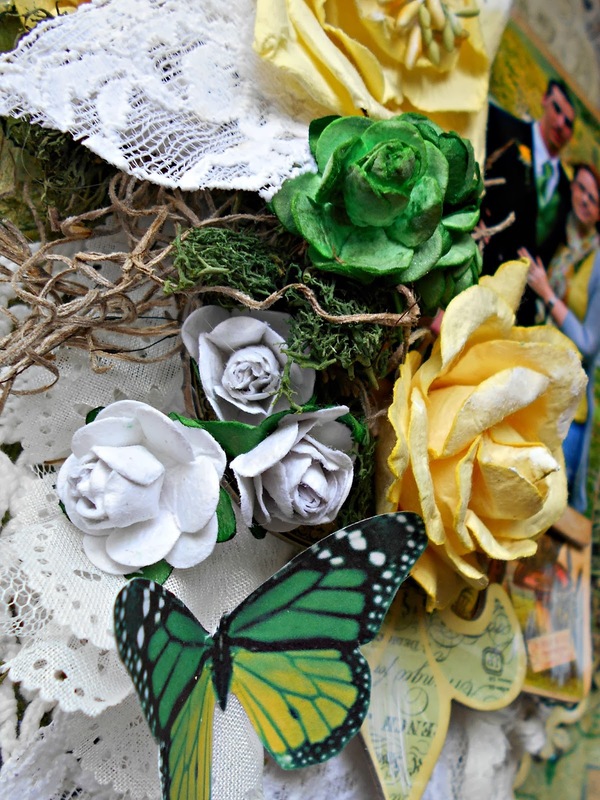 I used a yellow Manor House flower and the lovely circle chipboard frame from our sponsor, Molassi. Be sure and check out the Stuck On U Sketch and the way the rest of the DT interpreted the sketch! 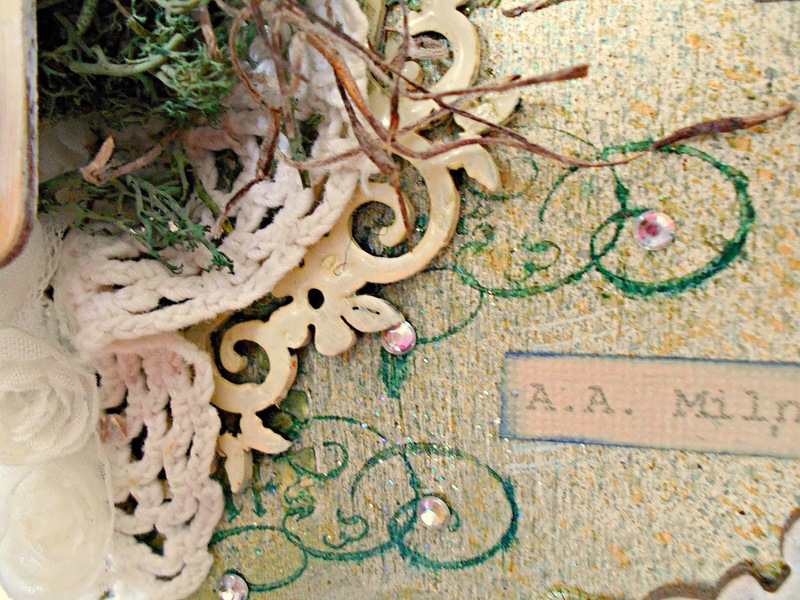 I always have lace and doilies on hand which I added in layers along with some green moss and Prima chipboard. One of our sponsors this month is Something Tattered,where I am lucky enough to be the DT Coordinator. 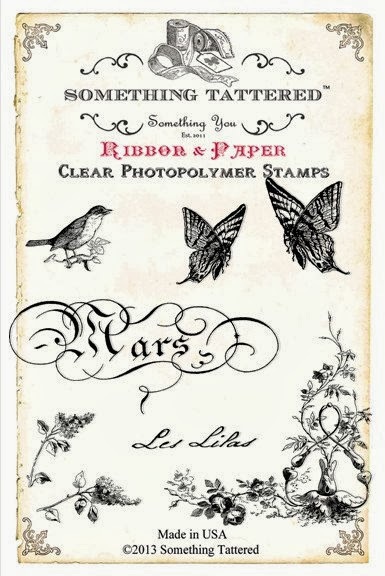 I used the French Month,"March" stamps as seen below. The picture I scrapped is of Hayden and I on the night of his senior Prom. I still remember that moment when the doors to their Party Limo closed and he and his friends were headed off to the dance. The fact that he was really graduating and moving on to the next chapter of his life and I broke down in tears. I am so proud of him and all he has done and am so hopeful for all the wonderful things that will come to him in the future. 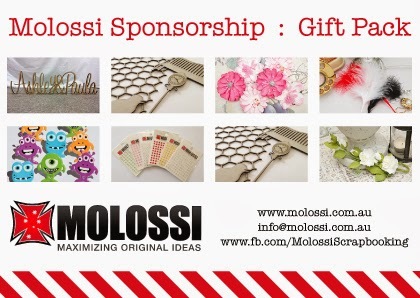 I hope you will join along with us, the challenge will be open till April 1. I can't wait to see what everyone comes up with! Check out the awesome prizes below! Your canvas is absolutely gorgeous with all that layered goodness! Beautiful work! What a gorgeous page and so perfect for all those challenges! Lots of fab layering and textures there! 2 of my fave things .. mix in a doily and a little media and it's heaven! Hope you have a fab weekend! Absolutely stunning! Thanks SO MUCH for sharing this in our challenge this week. I enjoy your art SO much, and I always enjoy your wonderful art being shared with us. Gorgeous...an amazing piece of beautiful artwork. Thanks so much for joining us in our Word Art Wednesday challenge this week. 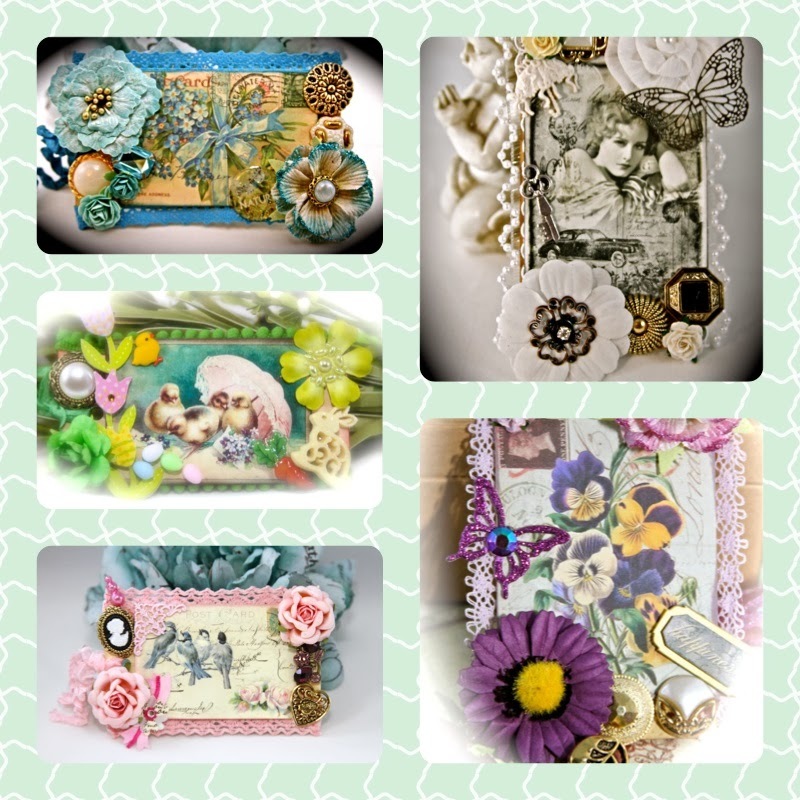 We love having so many beautiful designs showcased like yours each week. We appreciate your support. Your page is totally yummy! 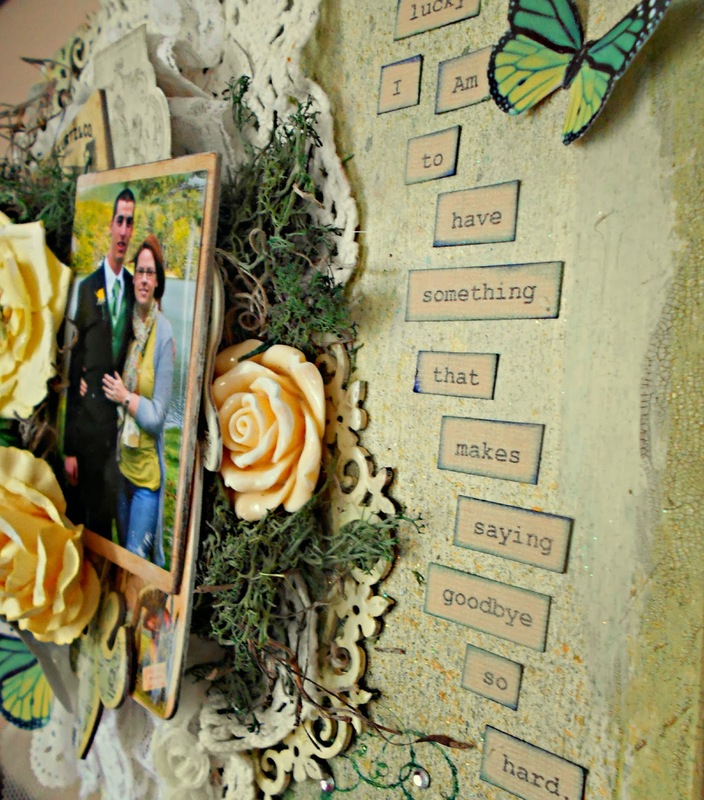 love all the gorgeous layering and the attention to detail! !